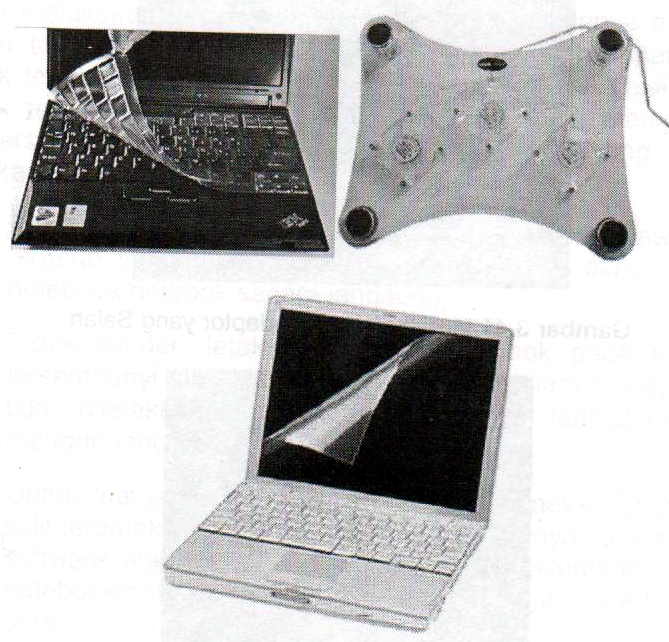 Placing a notebook or netbook is in a flat so that the ventilation holes at the bottom uncovered. Also make sure there is not much that shocks will not quickly destroy hard drives, optical-drive or other mechanical components. 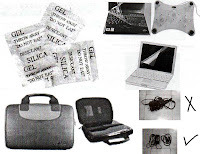 If you travel frequently then the bag for your notebook or netbook becomes important because it can protect from scratches, dust, water droplets, and impact. 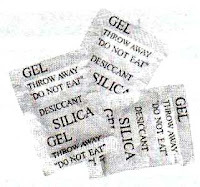 You can use the silica gel can absorb water vapor or moisture so it does not appear mushroom / spots on the notebook or netbook. Before you turn on your notebook or netbook, make sure the battery has enough power to boot and run the operating system due to lack of battery power when booting would result in making the hard drive fails to boot and become permanently damaged. When in doubt, you can install the adapter so that the boot process can run smoothly to the operating system running properly. Bags that are used must also be thick with thick foam in it that protects the notebook or netbook from the collision. Use also a waterproof bag so that water will not seep into and damage the notebook or netbook. After that, choose one that has a pouch that can hold lots of equipment other notebook or netbook and do not interfere with the space of a notebook or netbook. Note the battery indicator before charging. If the battery capacity is less than 80% should be spent first and then in charge. Read and understand how to use a notebook or netbook battery properly. You can read it in the manual are included. When carrying a notebook or netbook, and you want to put in a bag, make sure it is in a shutdown condition. You can add a screen protector (screen protector), a protective keyboard (keyboard protector) and use a cooling pad if the notebook will be used in a long time in a notebook so that air circulation can be maintained. When open a screen on a notebook or netbook, you should open from the center of the screen so the screen can be balanced hinges and hinge will remain durable. Do not put the phone on a notebook or on a keyboard due to radiation from mobile phones can damage the keyboard controller chips. You should not touch the touchpad when your hands are wet or greasy because it can damage and reduce the sensitivity of the touchpad. In addition, regular use wipes clean with a smooth and clean so as touchpad sensitivity can be maintained. 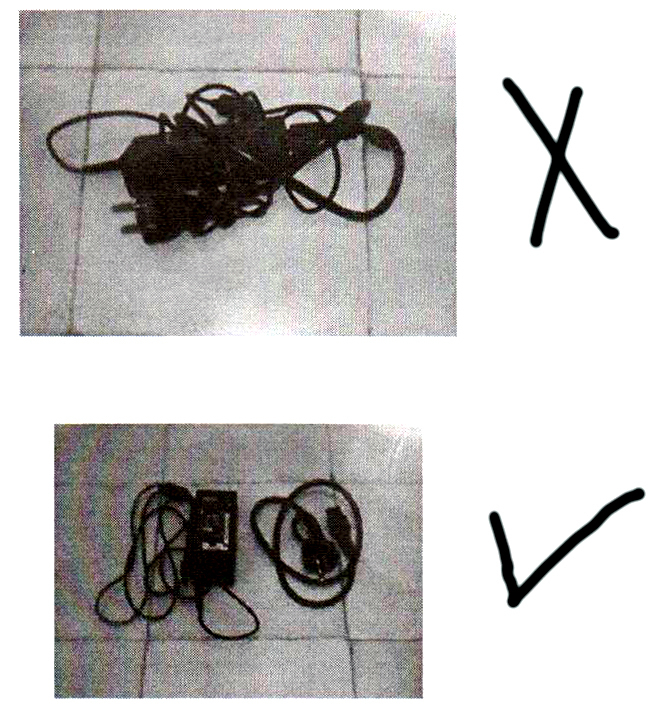 Avoid wrapping the wires on the body or casing adapter as the cable section can be broken if you wrapped too tight. 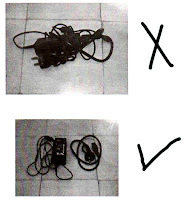 The damage is made ​​the power supply to the notebook or netbook you will be broken due to a lack of power supply. Turn off your notebook or netbook with correct and do not turn off abruptly especially when the indicator light is still blinking because it means the hard drive is still working to process execution run. This can cause your data to be lost or damaged and can be easily damaged hard drive. If you frequently surf online using email or online shopping, safe way to be careful is to install an antivirus that can detect the type of virus, trojan or worm that can damage the malicious applications or files you have in your notebook or netbook. Antivirus will automatically upload the latest data from the internet (when you connect to the internet) if it found a new virus is detected. User behavior should also be noted that by avoiding visiting Internet sites are dangerous because of spam, malware, spyware and so on.